Starting September 1, 2011, businesses that obtain or attempt to obtain employment for artists in Texas will no longer need to be certified by the Texas Department of Licensing and Regulation. The reason given for repealing the law was that few people had the licenses anyway. True enough, it would be hard to twirl a hula hoop in Austin without knocking into someone calling themself a "booker." All these illegal Texas talent agents will be illegal no more. However, stay tuned and keep aware, because this may also change. The law was repealed because so few followed the law. The damage and danger likely to befall musicians from this are so great that the law may do a reverse shortly. Texas does not exist in a vacuum. Producers and venues in California and New York are not going to want to deal with unlicensed Texas showbiz hucksters. Licensing of talent agents by the state (any state) is a way for talent buyers from other states to know that those talent agents have at least some minimal level of integrity and standard practices. Talent agency law has developed in very similar ways in states across the nation. Across the board, there are certain practices in show business that have proven to be fair and decent, and other practices that have proven not to be. Texas is choosing a step back, far back, in protecting talent, and it is not likely this will mesh well with other states that have chosen to protect talent. Repealing this law opens up a lot of danger for Texas musicians, bands, and other performers because it removes this layer of legal protection that assured them of decent gigs and payment. My suggestion? 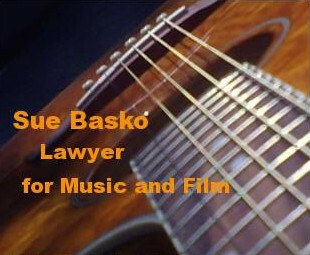 If you are a musician or band in Texas, be sure to have a good music attorney check out all your contracts. Get paid for gigs upfront or in escrow. Work only with reputable people. 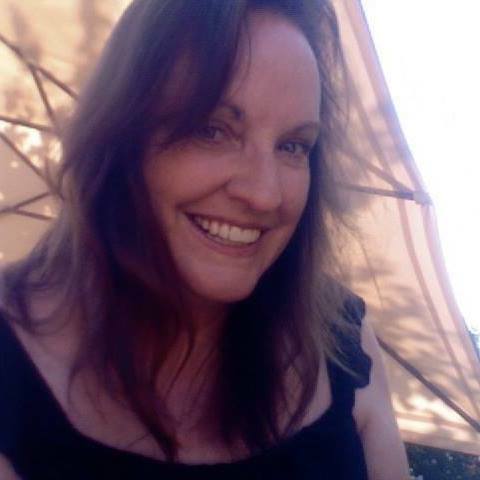 If you are from Texas and seeking gigs in California, get a licensed California talent agent. Most states require a license of anyone that finds gigs for performers, musicians, or bands. In most states, this includes third-party matchmakers, who often call themselves booking agents, promoters, managers, etc. For the most part, this is all illegal activity-- and rightly so -- because far too many musicians have been ripped off. There are so many stories of fine musicians finding themselves broke after years of trusting some unlicensed person. Most upstart bands have a tale of pay-to-play or working a gig and not being paid. It is truly a jungle out there, and talent agency laws could prevent all that -- if musicians would work only with licensed people. The talent agency laws are an attempt to bring some standardization and assurances to show business. Most talent agency laws require a talent agent to undergo a thorough background check, to have insurance, and to abide by certain practices aimed at making sure the artists are treated properly and paid. Most talent agent laws require an agent to check out any potential employer before sending the talent there. Agents cannot send talent to any venue or producer who has left any talent unpaid or stranded. Many states require any contracts used by a talent agent to be pre-approved by the State agency. These are serious, basic protections for talent. In most states, who can legally act on behalf of a musician or band? In most states, who cannot legally act on behalf of a musician or band in seeking gigs or other employment? A band manager, a music manager, a freelance "booker," a "promoter," a "talent developer." If a person wants to do such work, they should get licensed as a talent agent! If they do not want to take the time or have the responsibility that comes with being licensed, do not deal with them! Working with licensed people protects the musicians and bands! In most states, who can legally hire a performer, musician, or band? 1) The actual venue owner. 2) Someone directly, actually employed by the actual venue itself, if they are paid by the venue itself and not taking a percentage or fee from the amount paid to the artist. This person will be called a Talent Buyer, Band Booker, etc. If the person takes any money from the artist or from the amount the artist is to be paid, in most states, the person must be licensed as a talent agent. 3) A producer. And what is a producer? A producer is the person who has the financial stake in the show, who is putting forth the money and arranging for the talent, the venue, etc. This person stands to lose money or make money. In most states, who cannot legally book gigs, negotiate gigs, negotiate ticket prices, negotiate the contract for a gig, etc? A freelance "booker"or "booking agency" that takes any fee or portion of the money from the talent; a promoter; a band manager; a music manager; a talent developer, etc. To do these things legally, in most states, a person must be licensed as a talent agent. If you want to do this work, get licensed as a talent agent. If you are a musician or a band and you are working with these unlicensed people to get shows, you expose yourself to great risk. If they are trustworthy and legit and responsible, they should just get licensed. It is not that big of a hurdle, but it does provide basic protections to the talent. Can a person be a "booker," or "booking agent," that is, working for the venue to book talent for shows? Of course. But, to quote Illinois law, they must "derive no placement fees from" the talent and all advertising "must state in the advertising that the employment agency is acting as the agency or representative of an employer." If a person is booking shows and taking a cut of the money from the performer's pay, then that is a talent agency that must be licensed. The term "fee" means money or a promise to pay money. The term "fee" also means and includes the excess of money received by any such licensee over what he has paid for transportation, transfer of baggage, or lodging, for any applicant for employment. The term "fee" also means and includes the difference between the amount of money received by any person, who furnishes employees or performers for any entertainment, exhibition or performance, and the amount paid by the person receiving the amount of money to the employees or performers whom he hires to give such entertainment, exhibition or performance. Are these laws regarding who may act as a Talent Agent and who may book acts widely broken? Yes. And this causes a great deal of trouble for musicians and bands. Talent agent laws protect the artists. Many people, companies or websites that operate in violation of talent agency laws try to pretend they are not in violation of laws by claiming the venues are their actual clients or by calling themselves a "venue," or other such things. If you are finding work for or offering work to talent, you are a talent agent, unless you are the actual venue owner, or are working for the venue owner and not paid any money from the amount to be paid to the talent, or are the actual producer with the money stake in the show. When Labor Boards look at such businesses, the tendency is to construe in favor of their being licensed. I think the laws are so widely broken because people wanting to get into the business side of music are usually uneducated about the laws and do not understand their purpose. Arts management programs often fall short on teaching real world things. Musicians often go along with these schemes because they seem to be the only game in town. Consult a lawyer knowledgeable in music and entertainment law. This blog post is not legal advice and may not pertain to your state. 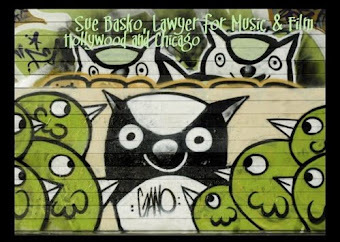 If you are musician or band and you take yourself seriously, the first person you should put on your team is a music lawyer. If you conduct your music business in ways that are substandard, you will have trouble moving up the ladder. If you are writing songs, playing gigs, hiring a manager, signing any contract, joining any website or service, or uploading your music anywhere -- you should have a music lawyer that you consult with before doing so. If you don't, you can be wrecking your own future.